Dakshina Mookambika Temple, located at North Paravur in Ernakulam, is one of the temples in Kerala dedicated to Goddess Saraswathi. The Sreekovil or Sanctum Sanctorum is located in the middle of a lotus pond. 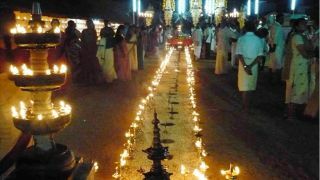 The annual Navarathri festival and Music Festival is the major festival celebrated at this temple. 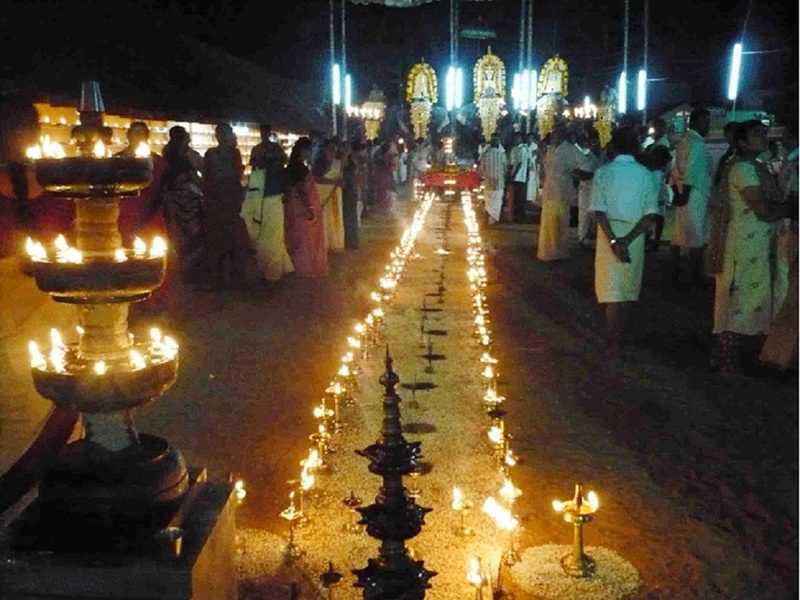 Navarathri festival is marked by the worship of the nine forms of Goddess Shakti / Devi. The final three days of Navarathri – Durgashtami, Mahanavami and Vijayadashami are set apart for the worship of Goddess Saraswati – the goddess of wisdom and learning. Several rituals and ceremonies are held on the Vijayadashami. During the ceremony called Vidyarambham words symbolizing the name of God are written on the tongue of the child with a golden ring. The child is also made to write letters on a plate of rice with the help of elders and this is practiced irrespective of religious differences. 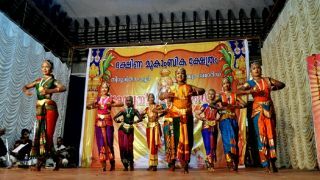 The temple also witnessed children making their debut in various art forms during the nine-day celebrations. 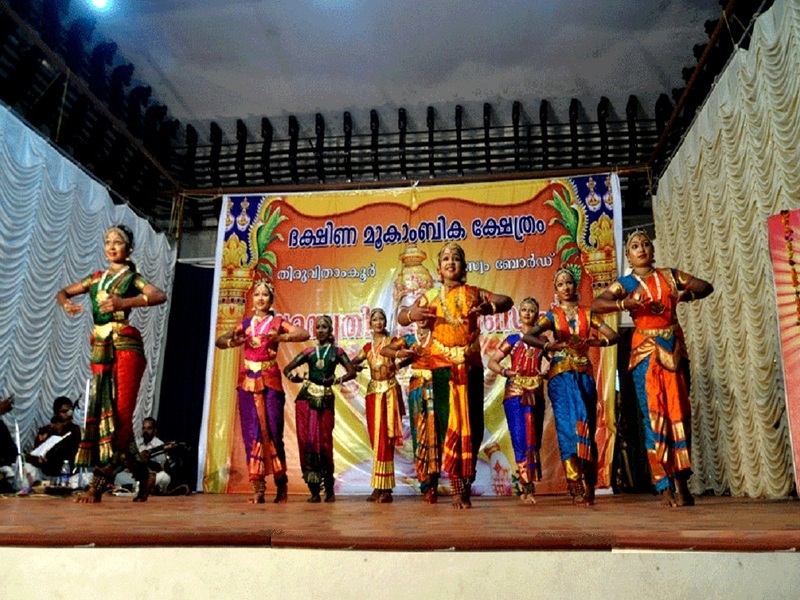 The Navarathri Music Festival here witnesses famous and popular musicians from South India to the temple.